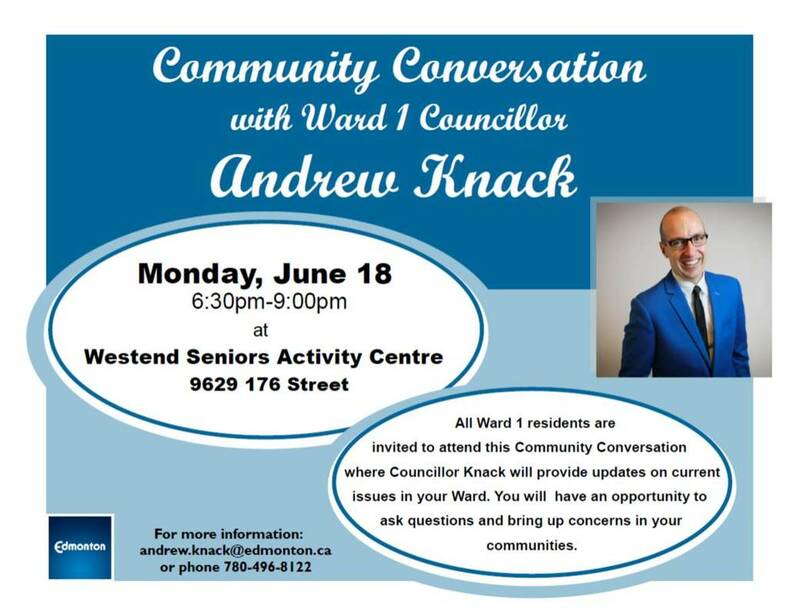 Details: All Ward 1 residents are invited to attend this Community Conversation where Councillor Knack will provide updates on current issues in your Ward. You will have an opportunity to ask questions and bring up concerns in your communities. For more information email andrew.knack@edmonton.ca or phone 780-496-8122.